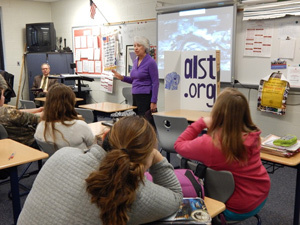 Kristi Keller, a Holocaust resource consultant, visited Antwerp High School’s freshmen world history classes to share information about victims of the Holocaust, including Jehovah’s Witnesses. 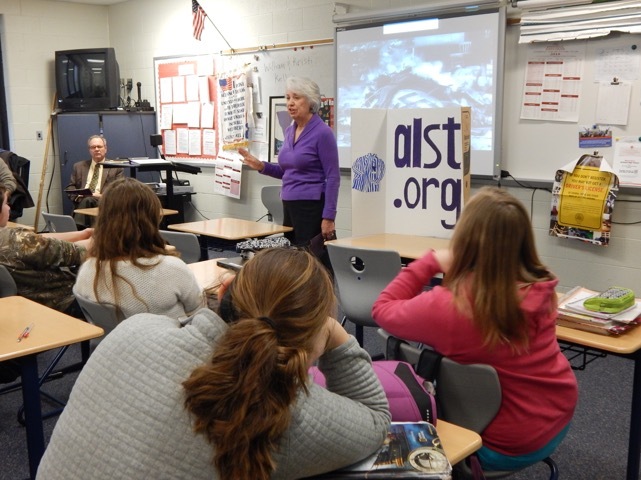 Keller also introduced students to the stories of Max Liebster and Simone Arnold Liebster, a husband and wife who were both Holocaust victims during their youth. After learning of the Liebsters’ story, students skyped with Simone Arnold Liebster, who is 85 and lives in France.